The series All Will Be Well: Religion-Industries was realized within the long-term research project “Global Prayers: Redemption and Liberation in the City”, initiated by metroZones – Center for Urban Affairs e. V. and executed jointly by the Haus der Kulturen der Welt (Berlin) and the Europa-Universität Viadrina. 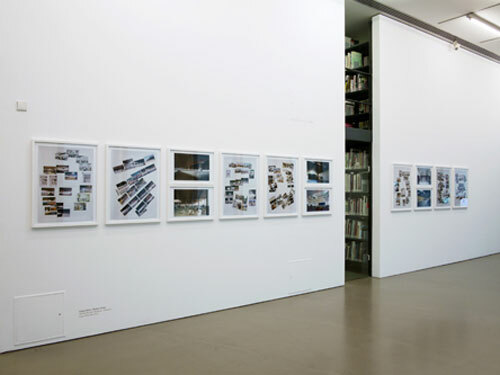 The series consists of research documents made from ensembles of small-format photographs and six architectural images from Lagos and Rio de Janeiro. The title refers to the motto (“All Will Be Well”) of the World Congress of the Redeemed Christian Church of God in Lagos in 2010, which was attended by several hundred thousand believers. This series prompts a discussion from the perspectives of industrialisation and culturalisation about the conflictual relationship between the economic dynamism of Evangelic churches and their impact on the production of urban space and daily life. By examining the overlapping of historical and present-day forms of Fordist and post-Fordist modes of production,All Will Be Well brings contour to the combining of old vocabulary and existing systems of faith with the new religious imperatives of the Pentecostal churches, simultaneously promising the improvement of social and economic conditions by faith and development.